I think I say this pretty much every time I share a new inspiration feature, but the more and more I do these interviews, the more and more I get impressed with the people around me. 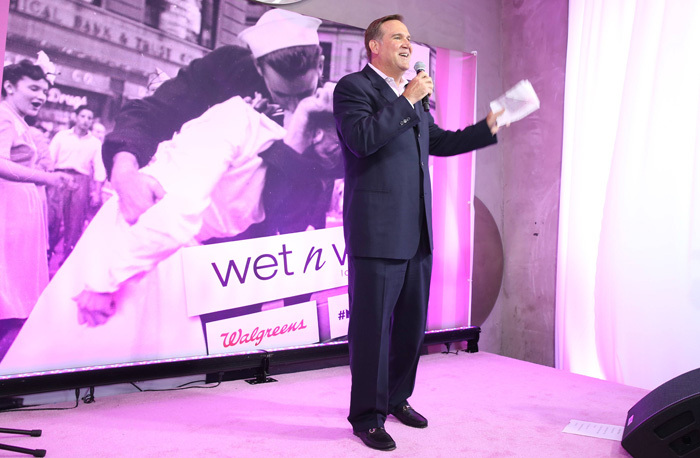 Last week I was invited to attend the wet n wild "More Kisses" event and campaign that was kicking off their partnership with Walgreens to benefit the American Cancer Society through purchases of the wet n wild "Think Pink" lipstick. Sounding like A) a great cause B) a fun event and C) a must-not-miss appearance by Fergie and Italia Ricci... how could anyone resist going? Celebrating the 69th Anniversary of the popular World War II kissing photo that is recognized around the world, the whole event was dressed in similar theme with girls in costume handing out popcorn, and sailors and nurses posing in an adorably cute kissing booth. But it wasn't until I spoke with Italia Ricci of ABC Family's new hit show "Chasing Life" which circles around a girl named April who is coping with the news of having Cancer herself that I was really moved by it all. Just getting off the announcement two days ago of Italia and longtime boyfriend Robbie Amell's new engagement(which FYI made me SO happy because I instantly fell in love with them as a couple throughout this interview as you'll see below), what I took away from Italia was not only is she a great actress with equally great style, but she has a pure heart of gold that has only been elevated with the role and opportunity that has been given to her through this topic of Cancer. When life gives you a voice and the power to really help and make a difference in this world and inspire, why not take it? And that's what Italia does and that's why it's clearly a no-brainer that she is my inspiration of the day. Fashionlaine: How has it been playing April from "Chasing Life"?Italia Ricci: It has been so eye- opening and incredible. The best part of it now is being able to interact with the fans and doing things like this event. When I booked the role, I was sort of this lucky actor that booked a great role. But now, it's sort of forcing me to become a better person. Like I wouldn't have done any of this before. Not that I didn't want to, but I just didn't have that push. But now, I'm doing all of these great things that are making me proud to be helping people and it's all the shows fault and that fans' fault because they keep making me want to do stuff like this and become better and more helpful. FL: Do people reach out and connect to you and the storyline?IR: Yes! I spend probably maybe two hours a day responding to Tweets, Instagram, and Facebook. I used to be able to get through all of it. (Robbie chimes in "We never get to hang out anymore", Italia responds "I know, I'm sorry"). I used to be able to get through all of them and in interviews I would say that I would respond to every single one, but now it's getting a little harder. So I need to put it out there to all the fans that I love them and I read every single one, but can't respond to them all. FL: That's really nice of you do to because other celebrities or people with influence typically don't respond or take that time to respond. Why do you make it such an important priority?IR: A lot of the people that reach out to me are sharing stories about the battles and trials that they are going through and how the show is helping them stay strong. And if they have the courage to tell me their story, the least I could do is spend 35 seconds to respond-- even if it's just with an emoji. Just spending 35 seconds to let them know that they've been heard by someone they're inspired by or look up to or whatever the reason they feel like they need to share their story with me. And as annoying as it is in my daily and personal life when I'm always on the phone or my iPad or computer and Robbie is staring at me to go on a date, it really does make a difference I think and hope. So that's why I keep doing it. FL: ABC Family is really bringing a lot of different and unique shows to the forefront of their scheduling and lineup. 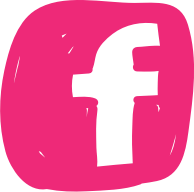 What do you think makes working with ABC Family so special? IR: This show is their first show that centers around a character not in high school, so they're I guess working on bringing the age and audience up a little bit. Also, they're taking so many risks with this show. We're going to so many places that other shows have not gone, showing levels of this story that I didn't think ABC Family would have the guts of telling or going there so realistically. I'm so proud of the risks that they're taking and the aspects of the story that they're letting us share in such a real way. FL: Being such an inspiration to so many people in so many different ways on and off the screen, who do you look to as your own personal inspirations?IR: My mom and dad are so inspiring. The things that they have gone through with such grace and strength have really shaped me, so my family is a huge inspiration. My boyfriend is one of the most amazing human beings on this planet that is sometimes kind of annoying. (Robbie chimes in,"She's just saying that because I'm standing two feet away from her". Italia looks at him and responds "No, seriously, he's annoyingly awesome and so it's very inspiring.") Just the way that he can just smile through anything at those same moments where I'd rather just curl up in a ball and cry is just so inspiring. So I'm inspired really by the people around me. And when I say "family," I mean my friends as well because they've gone through things with such stability and grace. I just can't imagine being that strong through some of the things I've seen my loved ones go through. And inspiration in terms of acting changes all the time, but right now I'm really digging Kate Hudson. FL: Last but not least, being a fashionista yourself, what are your must-have go-tos in your closet for this Fall?IR: I'm digging the floppy hats. And maybe a long flowy thick wool jacket. I don't have one. This is what I envision in my head for what I want, but a floor-length, thick, wool, hooded open-knit sweater. If I knew how to make clothes I'd make that for myself. Somebody out there, please make me one of those!